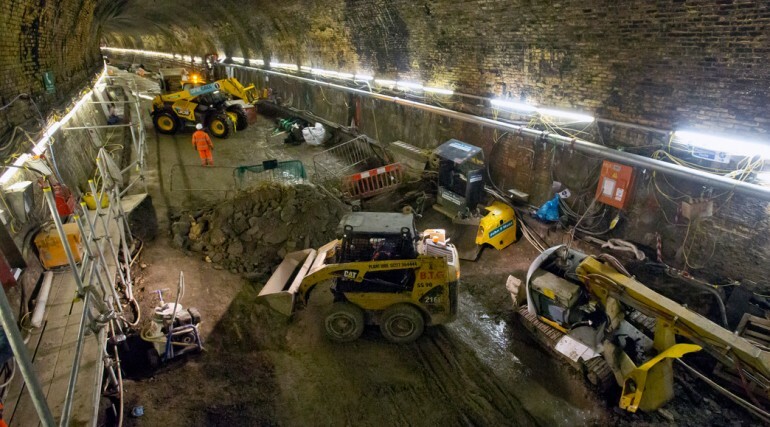 Major works carried out to Victorian rail tunnel for Crossrail - Crossrail . For information about the Elizabeth line please visit the Transport for London website. 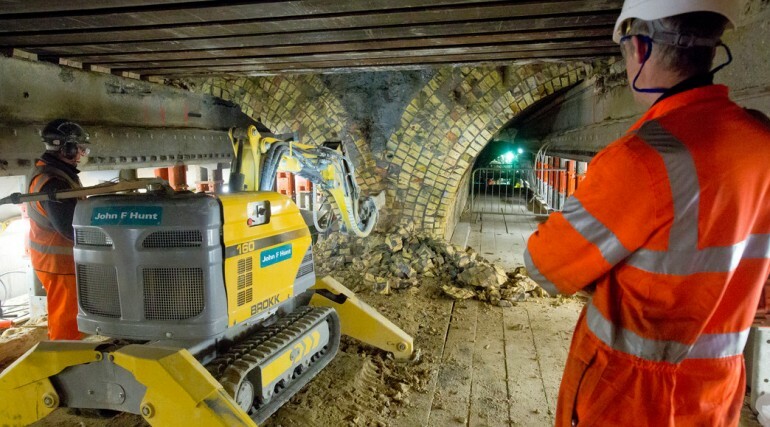 Work will now continue to open up a hole that will eventually measure approximately 20 metres long and 10 metres wide to allow for the engineering equivalent of ‘open heart surgery’ to strengthen, deepen and widen the central section of the tunnel so that it can accommodate Crossrail’s trains. 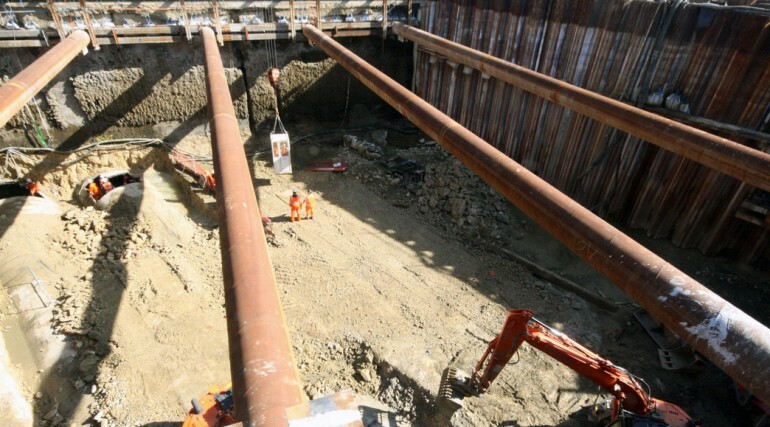 Sections of the tunnel are in a poor condition and parts of it were narrowed during the 1930s so that the dock could be deepened to accommodate larger ships with brickwork removed and steel segments installed. 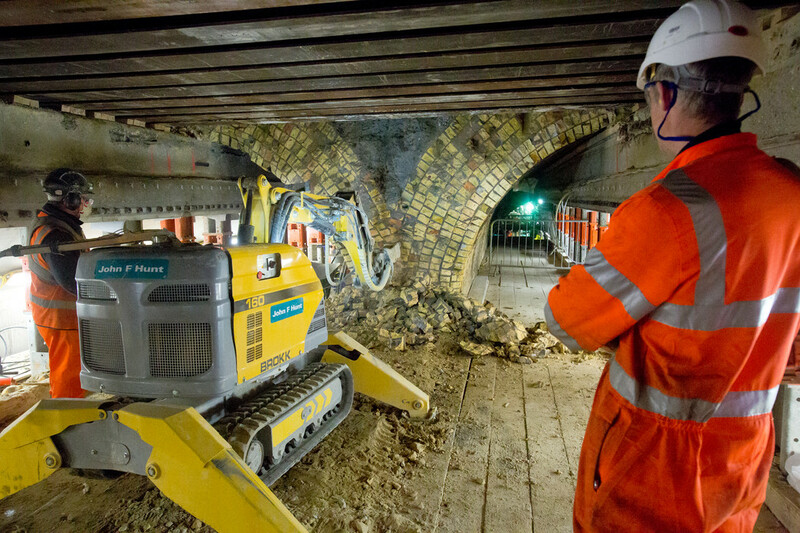 The hole in the crown of the tunnel will allow Crossrail to remove much of this material and to continue with the process of ensuring that the tunnel is safe and ready for the arrival of the new trains. 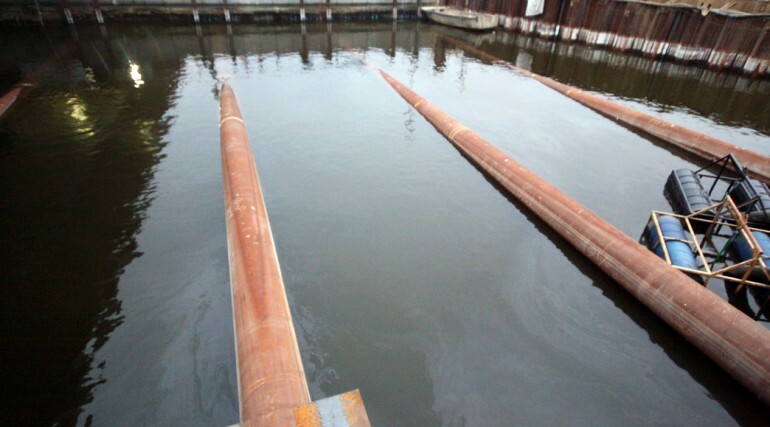 Over the last few months a cofferdam measuring 1300 sq. 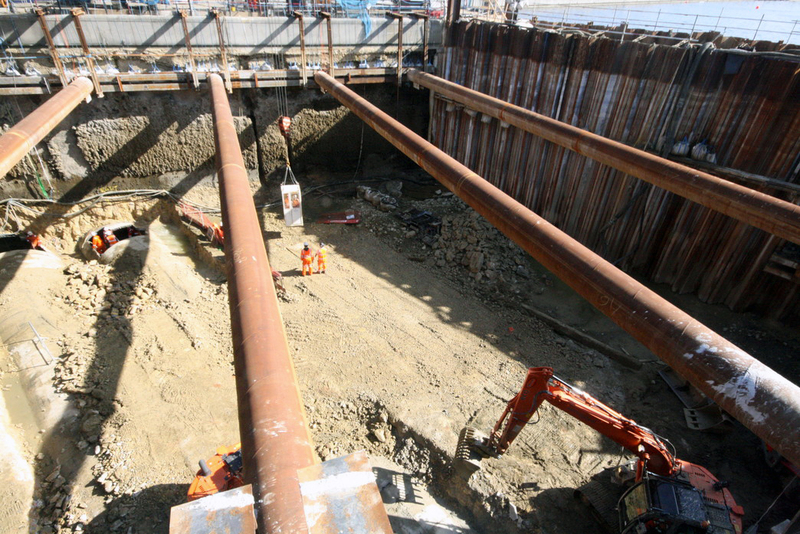 metres, around the size of four tennis courts, has been put in place to allow a section of the Royal Victoria Dock to be drained so that Crossrail workers can access the tunnel from above. 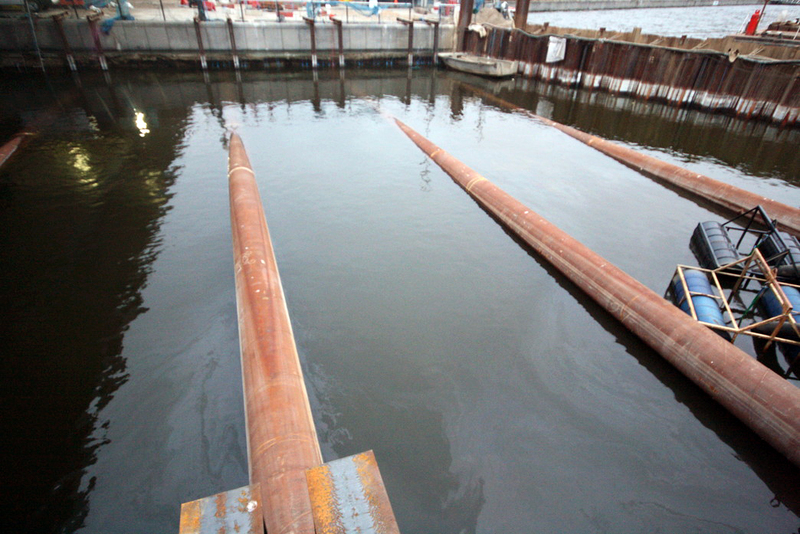 During the draining of the dock, a total of 332 fish were removed and safely relocated on either side of the cofferdam. The tunnel was built in 1878 and has not been in passenger use since December 2006. 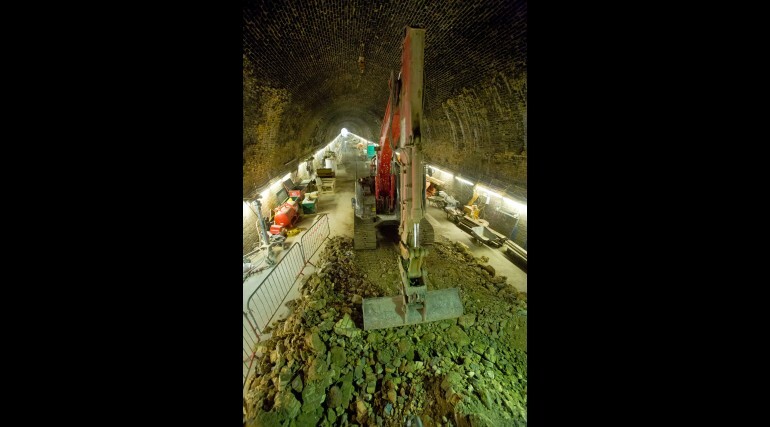 It is the only existing tunnel that will be re-used for Crossrail. When the southeast section of Crossrail opens, up to 12 trains an hour in each direction will run through the Connaught Tunnel, reducing journey times and supporting the wider regeneration of the Royal Docks. With Crossrail, the journey from Abbey Wood to Bond Street will be around 20 minutes quicker and passengers travelling to Heathrow will be able to shave around 40 minutes off their journey. 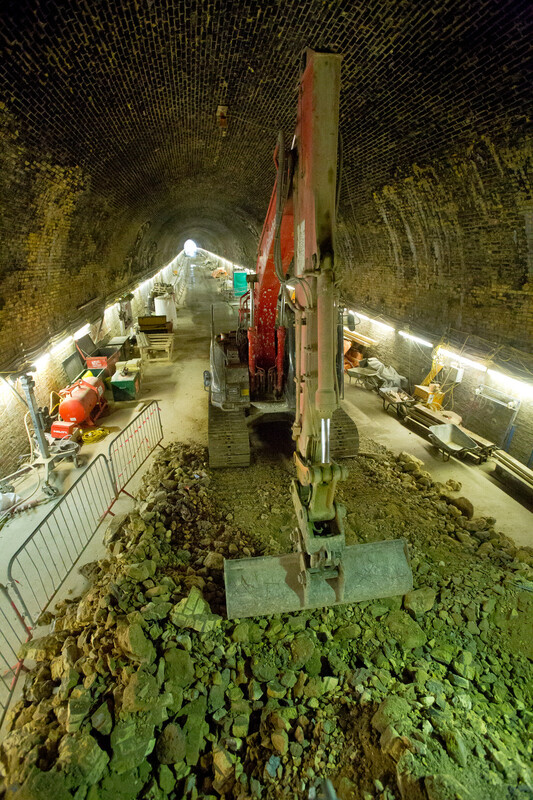 As well as widening and deepening the central section of the tunnel, the work at the site will include laying new tracks, waterproofing, installing water pumps and cleaning the 135 years of coal and soot from the bricks. A section of the Royal Docks will shortly be drained to allow major works later this year to open the tunnel from above for the first time since its construction in 1878. 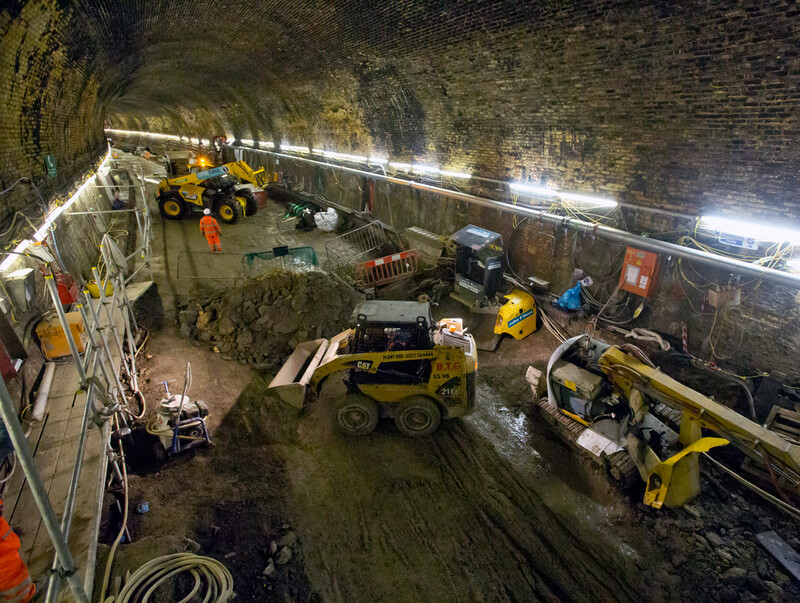 Refurbishment works well underway at the 135 year old Connaught Tunnel in southeast London which will be brought back into use for Crossrail. 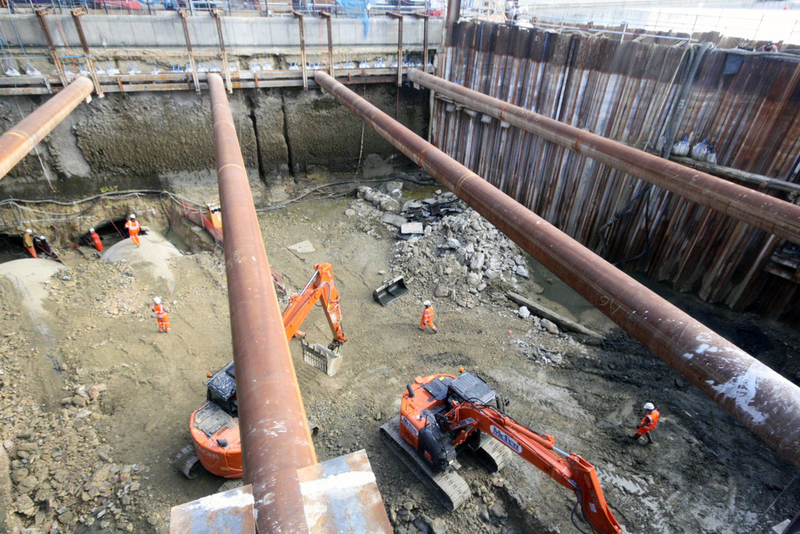 13 million litres of water was drained from the dock to allow Crossrail to access Connaught Tunnel from above. 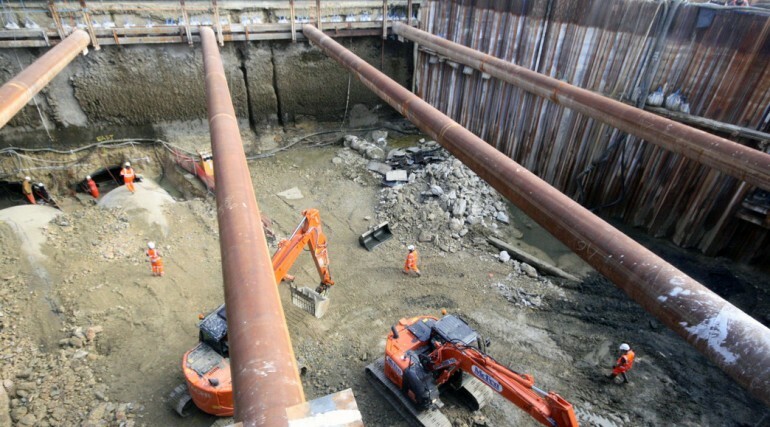 A hole was drilled in the exposed crown of the tunnel to allow for the engineering equivalent of open heart surgery to strengthen, deepen and widen the central section of the tunnel so that it can accommodate Crossrail's trains.